On the fifth floor of Combes, creativity flows freely. Meet Clara Delamater, a loyal AUP art teacher of 19 years and a lifelong artist. Clara’s life outside of AUP is immersed in the world of professional art. She is an accomplished sculptress, drawer, and dancer. Clara was born in Neuilly-sur-Seine and raised in Paris, speaking both French and English. She first got involved with art at the Conservatoire Boulogne-Billancourt, where she studied dance. From then on, her artistic journey took her to Julian Academy for graphic arts, Montparnasse School of Art, and the famous Beaux-Arts, before embarking on a seven-year apprenticeship with one of the last French masters of stone carving, Jacques Gestalder. Clara first discovered sculpture when she witnessed a sculptor working on her daily route to and from school. “Every time I passed by, it would intrigue me. I used to hide and watch him work. It was like a mystery of how he could go about expressing the human body in stone, with just his knowledge. I think that point in my life did something to me.” Amazingly, she ran into the same artist some years later while she was showcasing her work alongside his at the Grand Palais. 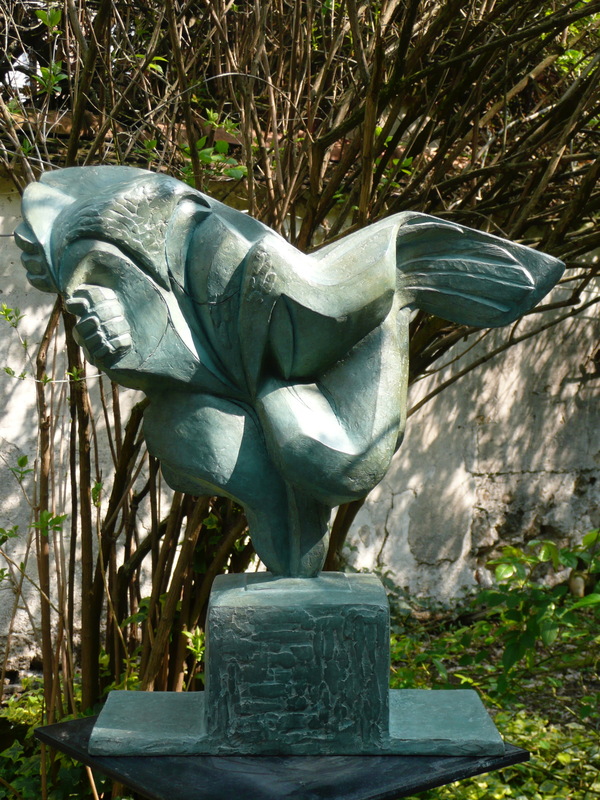 Professor Delamater has had the privilege of showing her work in many different places and has received multiple awards, such as the first prize for young sculptors in 1980, presented by the Nationale des Beaux-Arts at the Grand Palais, and the sculpture prize at the Orangerie du Luxembourg in 1984. Mitterand is not the only political figure that she has sculpted. 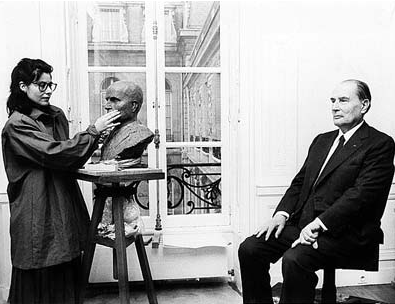 In 1995, she sculpted the bust of General de Gaulle, which is currently shown in a park in Issy-Les-Moulineaux. Her work can also be seen gracing various city halls as well as a few homes, parks, and offices. For example, the Prince of Saudi Arabia is lucky enough to have an onyx bas-relief in his Paris home sculpted by Professor Delamater. After 19 successful years at The American University of Paris, Delamater stated fondly, "I love the atmosphere, I love my students, I love teaching, I love transmitting my knowledge." The university will likely see many young artists grow with Professor Delamater in the years to come.